For most people,, owning the initial skills to use the Internet and mobile phone, at least once, But the question arises: how to get rid of spam - unsolicited mass distribution of information, that occurs without their consent. 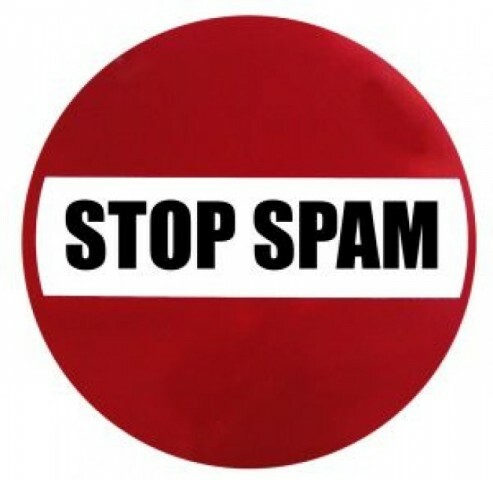 The term "spam" has appeared in the 30s of the twentieth century. and originally meant annoying ads canned meat «Spiced Ham» ("Acute ham") - abbreviated as SPAM, stocks are meant the expiration date it was urgent to implement after the Second World War. Hence the definition of unauthorized intrusive advertising messages. Spam can be just hype goods or services, and may contain viruses, links to malicious sites, which pose a threat to your computer. That is why you need to get rid of spam as soon as possible. Sometimes e-mail informs the user when filling out an application for opening of various stores of discount cards, when serving Internet ads, registration sites. If in this case to obtain information undesirable, you can go on the proposed letter at the end of the link and unsubscribe from advertising. Harder is the case with newsletters, coming against the will of the user. But in this case it is possible to get rid of spam, if not entirely, then at least partially. To enable the privacy settings of your page. When you receive a message or post, Similar to spam, click "Report abuse". Not to disclose the username and password of your account in the response message, the resource administration. This action is prohibited by the rules of the user agreement in almost all networks. Do not send text messages to offer. To configure antivirus software at work and periodically update it, check your computer for viruses. Use a complex password for login. It should consist of letters and numbers. If access to the social network made from another computer, upon completion of the work do not forget to click on the button "Exit". Frequently change the mailbox password, which is tied to the network. to change the emails and passwords of your page in the network. do not reply to such messages, because the answer will help fraudsters to withdraw money from the account of the answering party. The State Duma plans to consider amendments to the Federal Law "On Telecommunications". It is assumed, advertising SMS – mailing to subscribers of cellular communication will take place exclusively at their request. Operators to provide a definition of "spam" concepts and the ability to filter content by a number of features. Anyway, so that the user no question: how to get rid of spam in e-mail, in social networks and in SMS messages, you need to be careful and picky when filling out their data on the Internet resources in the different type of surveys.